Romantic getaways are likely to be on many couple’s minds as Valentine’s Day approaches, and we’ve got all the very best tips for how to make the most of an extra special trip! What says “I love you” like swaying palm trees, champagne in bed, and endless dining by candlelight? Don’t make this just any trip – incorporate these 14 ways to make romantic getaways truly memorable for you and your loved one. Not all hotel rooms are created equal! 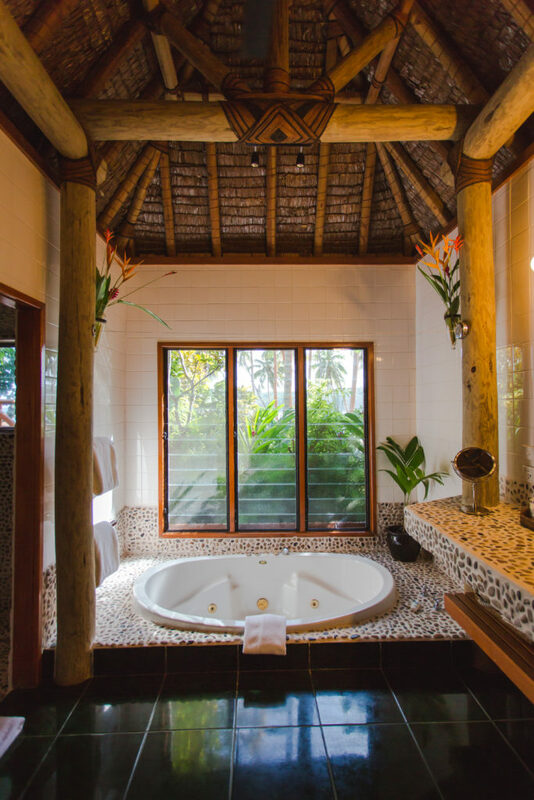 Booking a luxe private villa for romantic getaways will ensure the most dreamy setting possible for your special trip – think private pool, ample and plush interiors, the best views, and all the top luxury amenities. You deserve it! Most of the time, by just by letting your concierge know of your romantic occasion in advance, you’ll be treated to special amenities or offers available at the time of your booking. Sometimes the smallest details, whether it’s champagne in your room on arrival, a surprise in-room treat after dinner, or a pre-drawn bubble bath adorned in flower petals awaiting you in your room, add the perfect combination of surprise and delight. Sure, you’ve had couples’ massages before, but have you ever had a full two hour couples spa experience? 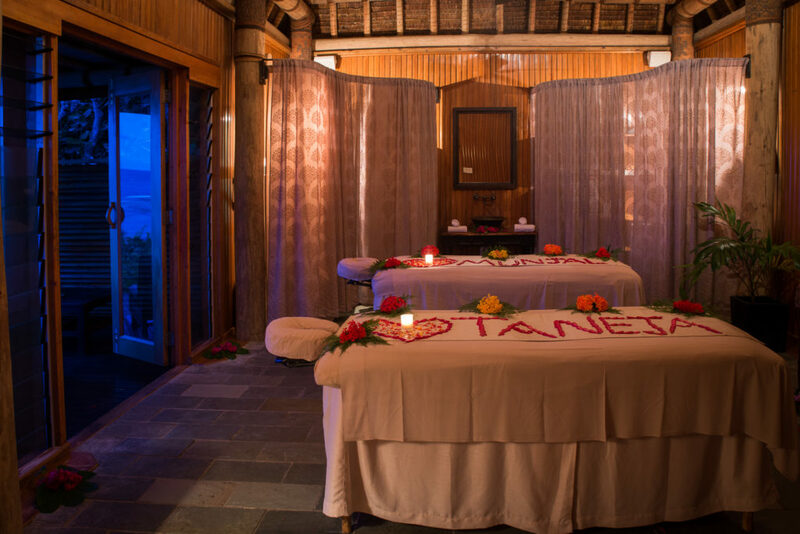 Namale’s Sunset Bliss and Moonlight Magic treatments couch a couples’ massage of choice with pre and post-massage romance. Imagine arriving to the spa just before sunset and find it all to yourselves, outfitted in flower petals and candles. Immediately slip your feet into a coconut bath for a soak and foot scrub while sipping fresh ginger tea before enjoying a 90 minute massage in an oceanview room – and for the grand finale – indulge in your post-massage bliss with hors d’oeuvres and champagne on a private deck timed perfectly to the stunning sunset over the sea. Romantic getaways are not the time to be reserved – treat yourself to some extra indulgence so that the romance stays in the air all throughout your trip! Book not one, but two or even three spa experiences, being sure to try different treatments that address everything from lymphatic drainage to muscle tension to dry or irritated skin. Or try treatments infused with local flavor, such as the traditional Fijian Bobo (bom-boh) massage (an ancient technique using the therapist’s feet) or a tropical-inspired banana leaf body wrap. You’ll leave feeling not only closer to one another, but healthier and rejuvenated. Just the two of you, a bottle of wine, surf and turf, candles, and the sea – the formula for a perfect romantic evening meal. At Namale, private destination dining is included in the all inclusive packages, so you can enjoy your breakfasts on a cliffside deck overlooking the water, lunch next to a private waterfall in the rainforest, or dinner in a candlelit sea cave. Leave the rest of the resort group behind this time and go on your own private adventure. The island of Vanua Levu, where Namale is located, is home to many hidden waterfalls waiting to be explored. Go on a guided waterfall trek and take a hike through lush rainforest to multiple falls, where you’re likely to be the only ones there! A tub for two is an ideal way to relax after dinner, with extra bubbles please! Or, start your day with a slow morning enjoying the view from your tub. Remember, romantic getaways are all about you! Breakfast in bed is a must! Or lunch – and dinner! Sometimes a romantic getaway calls for never leaving your private villa for a day – and that’s perfectly okay! No diets here – just gourmet desserts, locally-made chocolate, and house-made sorbets, please! If you must, split dessert each night after your fine meal of lobster and lamb, but don’t ever skip it! There’s never a better occasion for champagne than a romantic getaway, so go ahead an indulge! 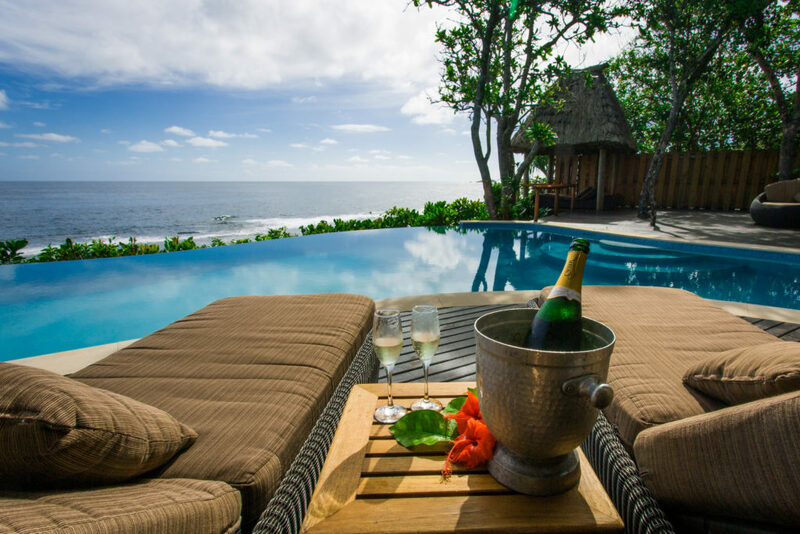 At Namale, both alcoholic and nonalcoholic beverages are included, without limit – so order champagne to your room, to the pool, to your dinner table – anytime the mood strikes you! Sometimes the smallest gestures make the biggest impact! Work with your concierge to arrange a surprise during your trip – whether that be a surprise private dinner, a sweet note in your room when you arrive, or a favorite dessert not on the menu and created just for her. In Savusavu, delicious dark chocolate is locally made, and best enjoyed while relaxing after dinner! Wrapped chocolates awaiting you on your cloud-like pillow are sure to make you smile. What better way to memorialize your romantic getaway than with a special souvenir. The Savusavu farmer’s market features incredible locally made treasures, which also support the island communities. 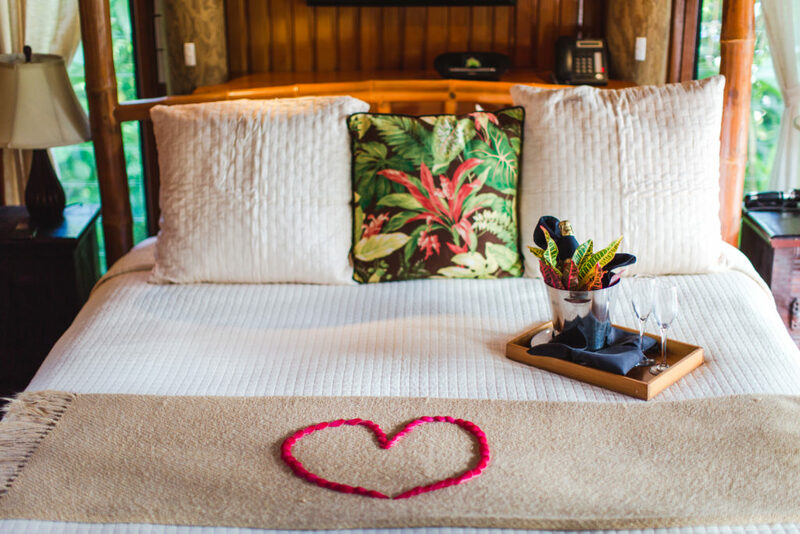 From handmade tapa paper (made from tree bark), hand-carved tanoa bowl (for kava drinking), or a stunning piece of jewelry featuring pearls harvested right in Savusavu Bay, you’ll treat each other in the sweetest way while remembering your experience for years to come. Don’t settle for a standard experience on your romantic getaway – work with your concierge ot craft your own special itinerary that speaks to you as a couple! Meet with the chef personally to create a menu designed to your tastes. Fill your in-room mini fridge with only the items you love. This way, you’ll be sure to maximize your experience with the activities that suit your desired level of adventure and relaxation.